Are you the right owner for that dog you’re smitten with? Adopting a dog is something most of us do at some point in our lives, and usually because we’re beguiled by the cuteness of a puppy. You may adopt a dog as a Christmas or birthday gift for your children, or because you’re looking for a pet companion but whatever the reason you want to take a dog into your home, think very carefully about the breed of dog you’re keen on, says Pets at Play veterinary behaviourist Dr Aileen Pypers. “All are not equal and you must be sure you can handle your prospective dog’s personality traits”. Fashion should never dictate your choice. A dog is a sentient being who has physical and psychological needs and these must be taken into account when making a decision to adopt. What role will this dog play in my life? Is it a companion, an assistant (eg, guide dog), for security, or a friend for my child? Will this dog become as important to me as a family member, and how well will she/he fit into our existing family structure? What size will this dog be in adulthood? All puppies are small, cuddly and cute but what will the dog look like when he’s fully grown? A Chihuahua is going to be a very different adult dog from a Great Dane or Wolfhound. How energetic is this breed and does it suit my energy levels? Border Collies, for example, require far more daily exercise and stimulation than a Corgi or Basset. Does this breed suit my lifestyle and my home? Bassets are famous for wandering, Retrievers love to swim, Jack Russells have boundless energy, Toy Poms and Shih Tzus need specialist grooming. Some owners are obsessed about keeping a spotless home so their dog’s coat type may be an issue (does the dog shed?). It’s worth knowing where different breeds originate from as working dogs like terriers and gun dogs have different needs to toy dogs which were bred solely as companions for humans. * Food and water – the best quality that you can afford. This differs for different people but should always account for the fact that dogs are omnivores and be healthy and nutritious. * Medical care – both preventative and emergency. Pet insurance plans provide peace of mind, and there are many options available these days. Ask your vet for recommendations. * Exercise – all dogs need this, both physical and mental. Exercise includes daily walks (smelling the pee mail is a very important task), daily interactive play with other dogs or humans, and object play (toys for chewing, tugging or fetching). * Comfort – protection from the elements, somewhere comfortable to sleep. * Companionship – dogs are a social species. They don’t necessarily need to live with another dog, but when they bond with their humans and are then left alone for long periods, they can experience loneliness and this can lead to behavioural issues such as digging, barking and chewing the furniture. * Safety – the human world poses many dangers to dogs. Traffic, poisonous plants, delicious garbage, getting into fights and getting lost are just some. 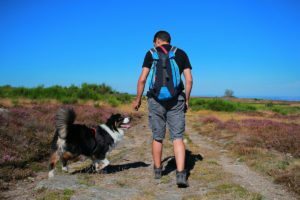 You must be prepared to protect your dog from these hazards through adequate fencing, daily supervision, microchipping, and training them to walk on a lead. • Protect your dog from being fearful through good socialisation while he/she is still a puppy. Puppy school is a must. • Ask children and strangers to respect your dog’s space. 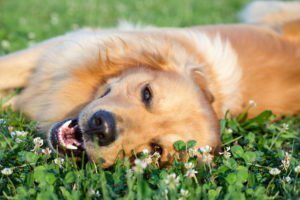 • Understand your dog’s body language; it’s his primary communication tool indicating everything from happiness to pain. • Teach your dog what you want from her using ‘fear free’ methods. Source puppy schools that advocate this. • Don’t expect too much from your dog – he’s not a robot. Like us, dogs have good days and bad days. • Address problems that arise as soon as they do. 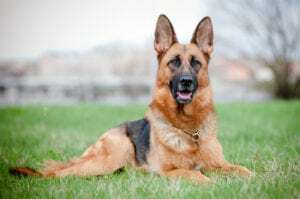 When dogs show any form of aggression, even if very subtle, they are trying to tell us something and we should address this as soon as possible. Ask your vet to recommend an animal behaviourist. “Before taking a dog into your home, do your homework. Remember, the decision you make now is going to impact your life for the next 7-17 years!” says Dr Pypers.